Variables - Phatch = PHoto & bATCH! 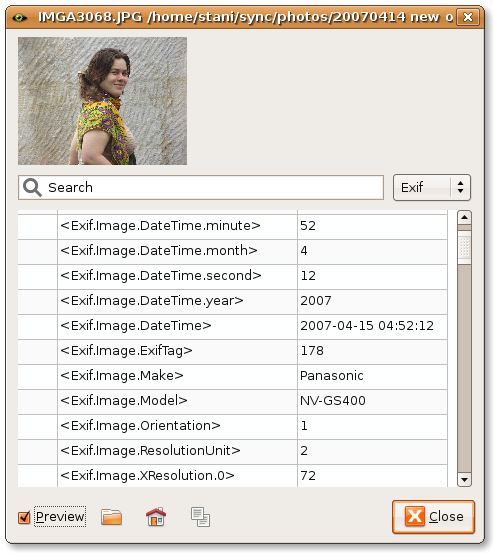 For an example, open an image the Image Inspector and you will be able to inspect all these values. - Phatch always provides these variables. - This is capable to handle the most image files (JPEG, TIFF, …). - You can find more information about IPTC on wikipedia. - These will always work for JPEG images if the file has exif information available. - This is the same as Pexif, but with numbered variables instead of labels. Save images to different folders based on their characteristics (type, width, dpi, etc). If folder doesn't exist, Phatch creates one.